Would you wear burlap? 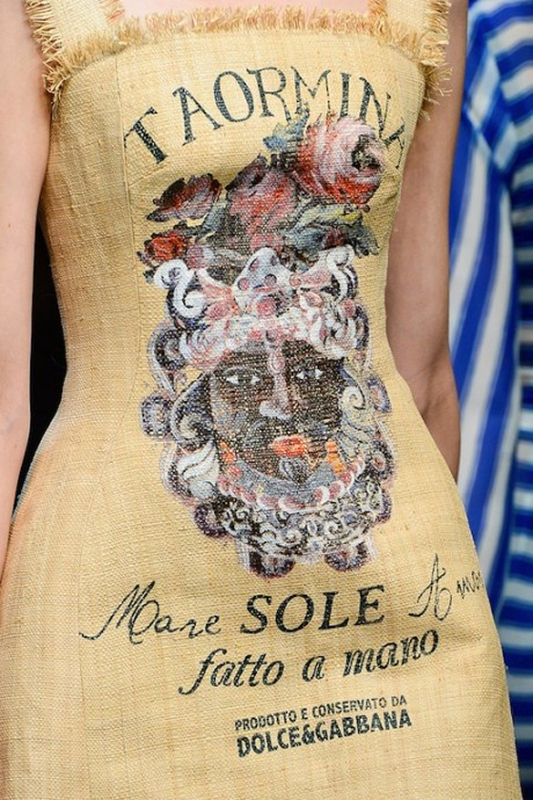 For this spring/summer season, Dolce & Gabbana added this atypical material to a collection showcasing naturalistic ambiance. Mostly this material is associated with potatoes, but its wearability is quite astonishing. The material comes across as natural and authentic, incorporating graphics for an enriched sense of purpose. Adding to the appeal is the little detail of fringe along the edges. Burlap is a material full of rough and natural personality, yet somehow it comes across as feminine and flirty in this particular design. A great example of unexpected delight.